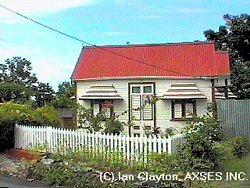 Barbados has a rich history of great houses, plantations, pirate dens and the attractive chattel house of board and shingle, sometimes with ornate trim, which were the homes to the poor. The homes of the island are some of the world's best examples of a period of architecture, dating back to the sixteen century. Rare possessions, mahogany furniture, ornaments, household artifacts, big wheeled buggies, art and sculpture decorate these homes in a unique setting of tropical color and building style. There are many heritage tours which provide a roster of visits of these unique settings. The Open House Programme is presented each year by the Barbados National Trust and features some of the island's most historic and beautiful private homes. These lovely homes are opened one day a year with the kind permission of the owners.